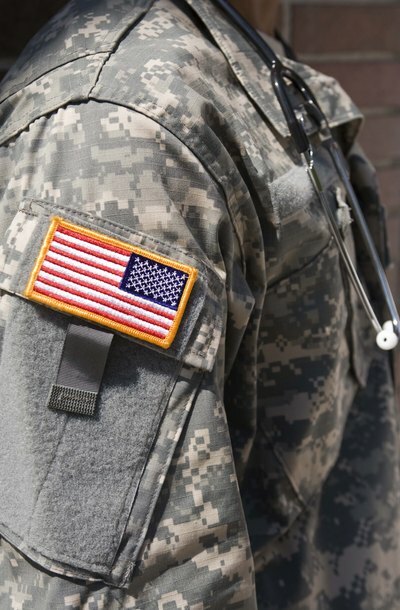 Veterans disability pensions, much like Social Security disability benefits, are designed to compensate individuals who are disabled and thus can no longer work. However, veterans disability pensions are only for those who served in the U.S. military. Veterans who receive disability pension money are entitled to receive additional amounts each month if they are married, but this entitlement ends in the event of divorce. While federal law governs a veteran's eligibility for a disability pension, as well as the amount of the pension, state law varies with regard to what happens to that pension in the event of a divorce. While federal law governs the treatment of the disability pay during the division of the marital estate, state law governs how a veteran's disability pay affects orders for spousal support. A veteran's disability pension is not considered a marital asset which can be divided upon divorce. In fact, Federal law expressly prohibits state courts from dividing veterans disability pension as part of the divorce decree. Thus, a state divorce court cannot decide that a portion of each month's disability pay belongs to the non-veteran divorcing spouse, or otherwise treat the disability pay as a marital asset or community property. Many people mistakenly believe that because veterans disability pay cannot be directly awarded to a divorcing spouse, it also cannot be considered when awarding or setting the amount of spousal support. A very few states, such as Arizona, Texas and Vermont, prohibit judges from using this income in setting spousal support. Most states, however, allow or require a judge to consider all sources of income when determining spousal support -- including veterans disability pay. This is true even if the disability pay is the only income the veteran has that can be used to comply with the order of spousal support. Veterans injured in the service of their country are afforded financial assistance and protection by the federal government. This includes monthly disability payments to compensate for lost current and future income. The payments are protected from garnishment by most creditors, but California courts include disability amounts as income in determining a veteran's child support obligations.